Full refunds have been processed. Please keep an eye out for future sessions. A series of hands-on skills sessions with qualified coaches, aimed to prepare you for the February handicap race. 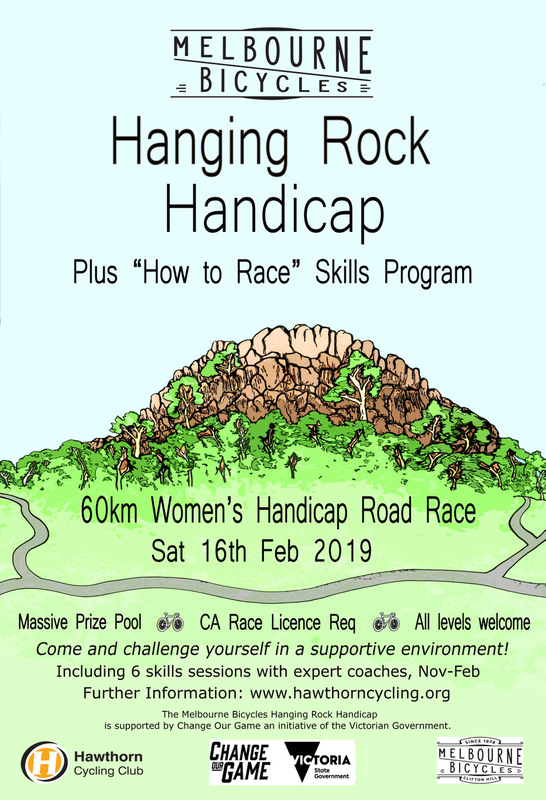 Whether you intend to race or not, whether you are starting your road racing journey or already have heaps of experience, there will be something for you. These sessions are about practising new skills in a safe and friendly environment. They will cover bunch riding, fast rolling turns, trying different race scenarios and tactics, what to eat and how to prepare. We will also cover bike set-up and some basic mechanics in a separate session. Numbers will be limited to allow maximum benefit to participants. We will have 2 coaches per session for the riding sessions, catering to different levels. There will be 6 skills sessions. Each session will have a separate sign-up. Non HCC members $5 per session Numbers limited - get in early! These events are intended as Women-only. Thanks. Open to members of any CA-affiliated club (race or rec licence). Juniors 15 yrs and over welcome.